As one of the Pell Center’s new adjunct fellows for cybersecurity, Paul McGreevy is ready to bring his expertise to the Rhode Island Corporate Cybersecurity Initiative. 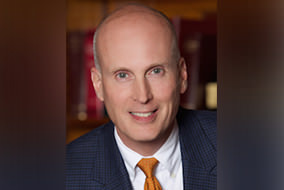 McGreevy has spent more than 14 years as a senior management and IT consultant with KPMG LLP, BearingPoint Inc. and Deloitte Consulting LLP, where he specialized in business strategic planning, organizational development and technology architecture for federal agencies. 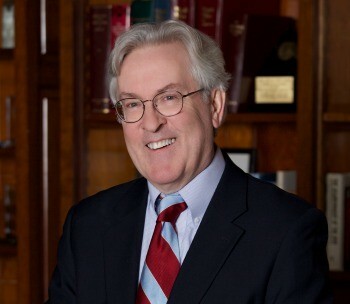 He also served as director of the Department of Business Regulation from 2011-2015, serving statutorily as the state banking commissioner, commissioner of insurance, real estate administrator and state boxing commissioner. Through your experience in technology consulting and government, you’ve cultivated proficiency in strategic planning, business development and, above all, a strong understanding of both the private and public sectors. Why should companies, especially private financial institutions, care about cybersecurity and data protection? As cyber attacks of all varieties become more prevalent, the bottom line of companies will be more impacted. 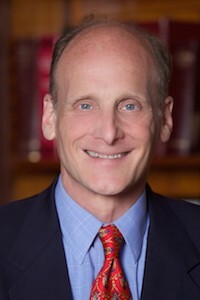 This may be through actual financial theft, loss of intellectual property and reputation, and/or exposure to legal liability, either civil or criminal. 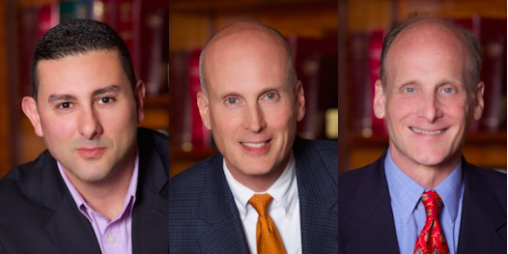 This last impact may be the most significant in the coming years as privacy concerns generate shareholder and customer law suits. How have you seen the response to cyber threats evolve in the financial industry over the past decade? In the recent past, losses from cyber attacks were seen as a cost of doing business. However, as these known costs go up combined with the unknown legal risks, there appears to be a growing awareness and acceptance that cyber risk needs to be managed as a business problem, not just a technical one. In the past few years, companies have also added new C-level roles—Chief Digital Officer (CDO) and Chief Information Security Officer (CISO). For companies who do have CDOs and CISOs, do you think they have been successful in preventing or at least mitigating cyber incidents vs. companies without CDOs and CISOs? The key factor is not the title or adding another box to the organization chart, but what authority these positions have and their relationship with the other C-level roles – and the Board of Directors for public companies. If they are truly part of the leadership team and business decisions, then they can be more successful. What can be done to encourage more companies and organizations to understand the importance of a strong cybersecurity position within their organization and to invest in best cybersecurity practices? The biggest impact can be achieved by making the leadership more aware of the nature of the threat, and that it is evolving rapidly, and their central role in mitigating the effects. 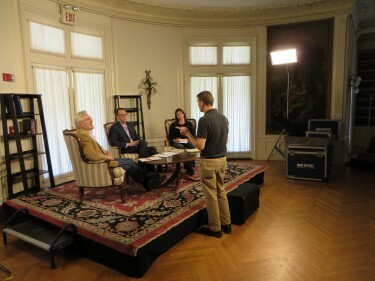 The Pell Center is positioned to help in this dialog. This is the critical role the Pell Center is playing today. You actively reached out to Francesca Spidalieri, the Pell Center’s Senior Fellow for Cybersecurity Leadership, to become more involved with the Center. 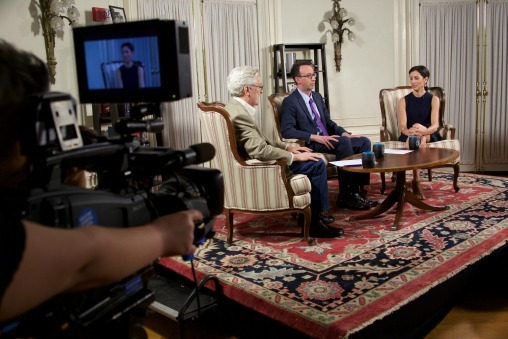 How did you identify the Pell Center as a leader in cybersecurity research and as a leading facilitator of public-private partnerships, information-sharing efforts, and cybersecurity education/training in the state? As a former director of a state regulatory agency of financial institutions, I recognized we needed help in defining and addressing this issue from a top-down, leadership perspective as opposed to a purely technical one. The Pell Center is perfectly positioned to assist in this way. They assisted our agency with awareness training and facilitating cross agency discussions involving legislation, policy development, table-top planning exercises and even intern support. I hope I am able as an adjunct fellow at the Pell Center to further develop partnerships with both government and private entities in order to increase our economy’s ability to address the cyber threat. Beyond mitigating cyber threats, what are other pressing economic challenges our elected officials will have to face? I believe there is an economic opportunity in the world of cybersecurity challenges in which we find ourselves. In addition to the direct business opportunities for firms that can assist in mitigating the threat, general economic growth can be facilitated by the local, state, or national economy that can create the business climate that fosters a proactive view of cybersecurity. This economy will attract business and encourage start-ups that seek a safer environment than might be available elsewhere. This will be true for small as well as large businesses since as the nature of the threat multiplies all types of companies may be targets. 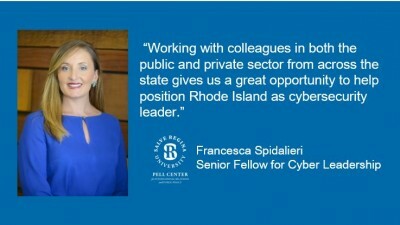 NEWPORT, R.I.—Pell Center Senior Fellow for Cyber Leadership Francesca Spidalieri has been appointed by Governor Gina M. Raimondo to the newly established Rhode Island Cybersecurity Commission (RICC). The new commission is tasked with developing a clear strategy to make Rhode Island more secure and resilient to cyber threats while simultaneously fostering innovation and economic development opportunities in the state. The Executive Order establishing RICC was signed in May 2015, and its members met in June to set goals and a timeline for their work. Spidalieri’s first task for the commission will be to brief its members during their first public summit on July 16, 2015, at the U.S. Naval War College in Newport. Her presentation will review examples of how other state governments have structured and organized their responses to cyber threats. Her research and findings in this area will also be the subject of an upcoming Pell Center report: “State of the States on Cyber.” The Pell Center will host the afternoon session of the July summit on frameworks for protection and resiliency, and the entire summit on October 15th focused on industry and workforce development. 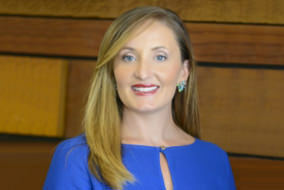 In addition to her review of other state responses to cyber threat, Spidalieri will provide input and expertise for the commission’s working group on Workforce Development and Skills Training. 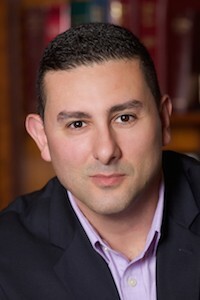 The working group is charged with conducting an assessment of the current cybersecurity workforce development and education activities in Rhode Island, including curricula, certificates, and training credits offered, and to develop a set of recommendations that address both gaps and opportunities. Several of Spidalieri’s studies at the Pell Center explore similar issues, giving her and the commission a ready-body of knowledge from which to draw. 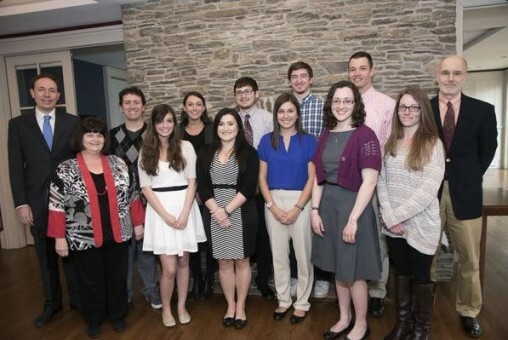 Newport, R.I.—Sixty-six Rhode Island students earned the Herbert and Claiborne Pell Medal for U.S. History this year. The medal, administered now by the Pell Center at Salve Regina University, recognizes college and high school students in the state who have excelled in U.S. History. The Pell Medal was originally presented by Senator Claiborne Pell and his wife, Mrs. Nuala Pell, for more than 50 years. 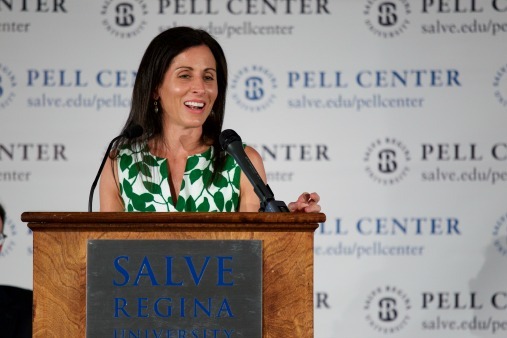 After Mrs. Pell’s passing in April 2014, the Pell Center at Salve Regina University agreed to become the steward of the medal process. NEWPORT, R.I. — Nuala Pell Leadership Fellow Jacob Lang has been accepted to present at the Empire and Nation: Undergraduate Conference in Budapest, Hungary in August 2015. 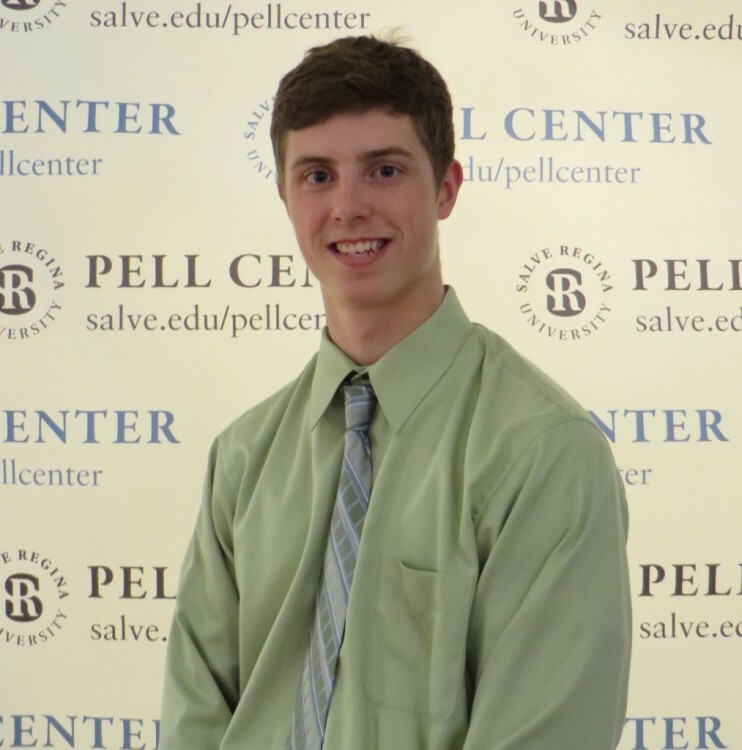 A philosophy major from N. Attleboro, Massachusetts, Lang was recently selected to be a member of the 2015-2016 Nuala Pell Leadership Program. Annually, the Program provides 12 diverse, high-achieving, Salve Regina University sophomores with leadership training and opportunities. The “Empire and Nation” conference is co-hosted by the Department of History and the Department of Medieval Studies at Central European University in Budapest. The conference is devoted to rethinking the role of empires and nations in history. G. Wayne Miller, Pell Center visiting fellow and Story in the Public in the Square director, is a storyteller in his own right. 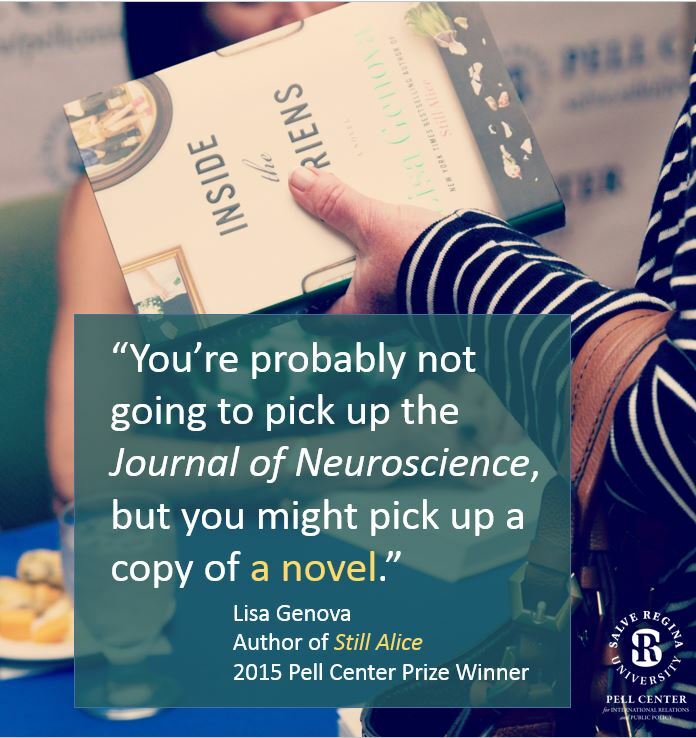 A staff writer for The Providence Journal, Miller shares powerful accounts of individuals, families and loved ones affected by mental health issues and serves as an advocate for mental healthcare reform throughout Rhode Island and in the United States. Miller has also published several books, including Toy Wars: The Epic Struggle Between G.I. Joe, Barbie and the Companies That Make Them (Random House/Times Books, 1998), King of Hearts: The True Story of the Maverick Who Pioneered Open Heart Surgery (Random House/Times Books, 2000), and An Uncommon Man: The Life and Times of Senator Claiborne Pell (University Press of New England, 2011). Over the course of your writing career, you’ve published an extensive body of work. Your portfolio consists of reporting, feature writing, fiction and non-fiction, but what’s most impressive is the diversity of subjects you write about. What draws you to cover a particular subject? First and foremost, people and their stories. I am compelled by stories of people who take journeys, who take risks, who experience love and loss, who endure, who are honest and loyal, who surprise themselves and others, who prevail despite conflict, who give back to the world, who inspire the rest of us with their courage, wisdom and tenacity. I love writing about kids, these wonderful new people who still believe in magic. I must say, however, that I am not big into villains. I guess I remain an optimist after all these years. Hard to sometimes, looking at what’s happening on and to the planet, but I still do. After people, themes. I have a great interest in public-policy issues—and “public,” of course, is people. When I can marry a good people story to an important issue—well, doesn’t get much better than that. My all-time favorite newspaper story remains “The Growing Season,” a 12-part series in The Providence Journal about the late Frank Beazley, who spent most of his adult life as a quadriplegic at Zambarano state hospital. Here was a man who had every right to be bitter and broken, and yet he became a celebrated artist, a champion of people with disabilities, and an inspiration to us all. He raised awareness of a critical public-policy issue — how we care for the most fragile members of society—in a way few others could have. Ask anyone who saw him at General Assembly hearings or the former governors who paid him visits. I was honored and humbled to become his friend, and give him a voice in the media. You’ve won nearly 50 honors and awards—most recently, the Bell of Hope Mental Health Heroes Award from the Mental Health Association of Rhode Island. In your opinion, to what extent can the power of narrative shape the public dialogue on issues like mental health? It can have a significant effect, in a way that statistics and data can’t, not that those aren’t important, too. This gets back to people. Humans are hard-wired to have an interest in others, so when you tell someone’s story — at least, when you tell it right — you command attention. And, in writing about people living with mental illness, you evoke empathy and compassion, which hopefully can lead to better understanding of an often-misunderstood issue, which in turn can lead to lessening of stigma and public policy change. My most recent writing about mental health, part of a continuing Providence Journal series, was a three-part look at a woman living with bipolar disorder and her family. I chose the title, “Katie’s Story,” quite deliberately: the hope was that readers would see it and be drawn in by the intimacy of using a first name, and the prospect of reading a story. Since our cave-day ancestors gathered around the fire, people have loved stories! In their remarks at the State House Bell of Hope ceremony, Elizabeth H. Roberts, secretary of the Executive Office of Health and Human Services, and Maria Montanaro, director or the state department of Behavioral Healthcare, Developmental Disabilities and Hospitals, thanked me for writing “Katie’s Story,” noting that it was a moving reminder of the people in their care—and the improvements needed in a fragmented and underfunded system. They are executives in positions of power to make it happen. Here’s hoping. In addition to writing, you’ve been successful as a film maker. Coming Home (2011), a documentary that explores the experience of veterans who fought The War on Terror in the Middle East, won the Edward R. Murrow Award from the Radio Television Digital News Association and was nominated for outstanding documentary at the 35th annual New England Emmy Awards. How does your experience as a writer complement your film making? The key things in the writer’s toolbox—the need to observe, listen, question, research, understand, etc.—were invaluable when I got into film. I quickly learned that writing and film are two sides of the same storytelling coin. Text or moving image, you’re dead in the water without a good story. In your experience, what ways are writing and film making similar? In what ways are they different? Only difference is that one relies on words, the other more on images… Okay, there are other differences, but they are mostly technical. Writing is pretty much a solitary deal, filmmaking a collaborative effort. A pen and paper, or screen and computer, are all a writer needs; filmmakers must have the right equipment with knowledgeable operators. Editors are critical to both writing and film. 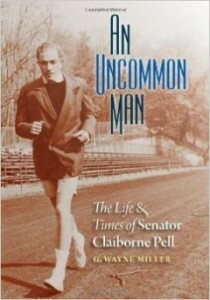 One of your books, The Uncommon Man, is an extensive biography of the late Senator Claiborne deBorda Pell, Rhode Island’s longest serving senator. It happens that the National Endowment of Humanities, one of the senator’s lasting legacies in the United States, is celebrating its 20th anniversary. What do you believe is the greatest legacy Senator Pell left for Rhode Island and the nation? In a direct, concrete way: the Pell Grants. More broadly, his devotion to the public discourse and his belief that we all have a civic duty that we should exercise. These are principles incorporated in the Pell Center, needless to say. There have been many changes in the media landscape since the beginning of your career to present. Despite your workload and community involvement, how have you managed to adapt to those changes? It helps that I get up very early—a habit that began years ago when my children were young, and I wanted to devote time to them as their days began. So the pre-dawn hours are critical to the thing dearest to my heart, after my wife and family: my writing. In general, I have adapted by being flexible; by welcoming new ideas and formats such as social media; by never forgetting how lucky I have been to have supportive publishers and editors from the very start; and by always remembering that at the end of the day, literally and figuratively, we all love a good story. Miller’s next book, Car Crazy: The Battle for Supremacy Between Ford and Olds and the Dawn of the Automobile Age, will be released November 2015 and is now available to pre-order. 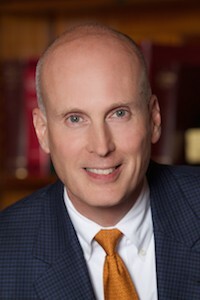 Connect with Miller on Twitter and LinkedIn. 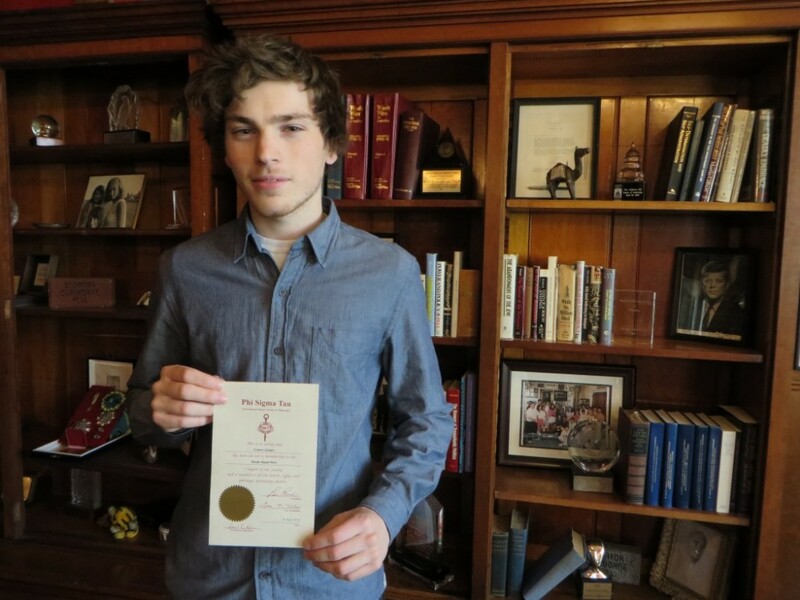 Pell Center work study Frank Quigley ’16 was recently inducted in Phi Sigma Tau, the international honor society in philosophy, during the Spring 2015 semester. He was also selected to be a part of Who’s Who Among Students in American Colleges and Universities, an exclusive honor conferred by more than 1,000 universities and colleges nationwide. 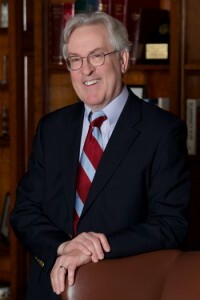 Quigley is a double-major in American History and Philosophy at Salve Regina University. As a Pell Center work study, Quigley is responsible for shooting, editing and publishing video of Pell Center lectures, as well as conducting research for Pell Center fellows. 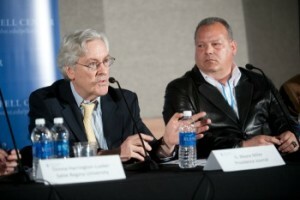 Quigley also contributes to the Pell Center’s blog. 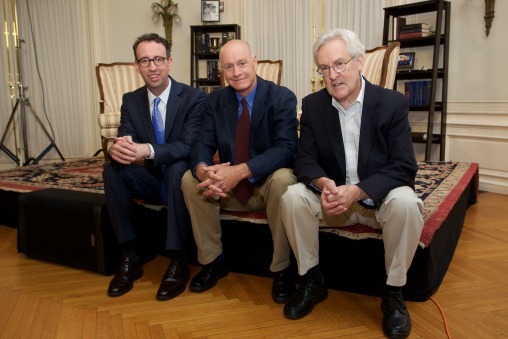 View the Pell Center’s latest lecture, Civil War and the Making of Modern America, on YouTube.